In May, it will be a year since the enforcement of the EU GDPR began. In the midst of continued and ever growing confusion within the EU caused by the Brexit process, a recent report around another high profile EU issue may have gone unnoticed. 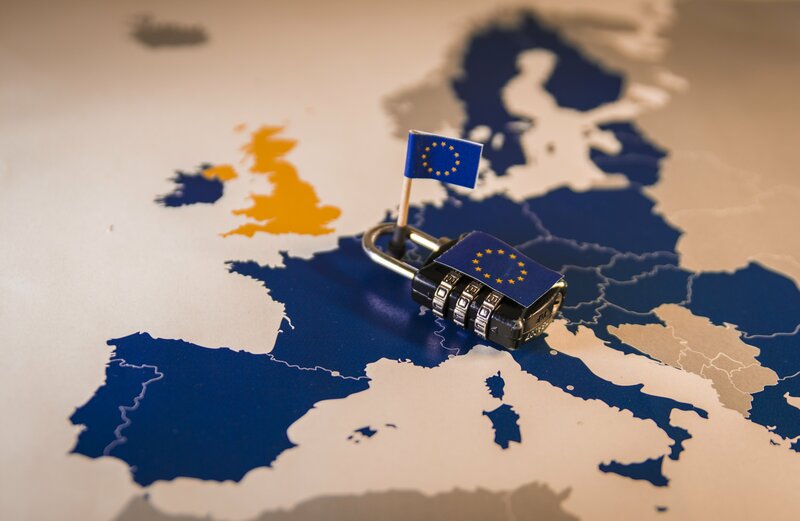 DLA Piper recently released a paper looking into incidents reported — both GDPR breach notification and other kinds of notification — fines enforced and how reports and fines are spread out across EU members. From the time GDPR was introduced to the point when the report was released, 59,000 incidents were reported to the various regional “Data Commissioners,” such as the CNIL in France. The numbers were built upon on data reported by EU members (which still includes the UK as I write this) and collected by DLA, but, it is important to note that not all countries expose such information. Firstly, before discussing these numbers, we need to be clear that these incidents do not imply 59,000 data breaches. Because GDPR is concerned not only with data breaches, but also with the inappropriate handling and processing of data,EU countries are required to engage in more than just GDPR data breach notification. The reported number of incidents, therefore, cover data abuse as well as data loss, whether accidental or maliciously derived. A separate source, directly from the EU commission, places the data breach related incidents as coming to 41,500 for both malicious and accidental events. The effects and legalities of GDPR are still rippling their way through data processing services. As a recent example, lobbyists from several countries launched a petition to their respective regional Data Protection Authorities on how EU personal data is used in the fast growing space of Real-Time Bidding, which is the process that determines which adverts are shown to you online. Real-Time Bidding is driven by the data advert companies have about you, since this is what allows them to make the most informed decision as to which advertisement you would find most appealing. The decision of which advert to show you is made in a split second and, therefore, clearly, there is no possible way for the user to ‘opt-in’ to the processing of their data. This is separate from the 50m EURO fine placed on Google by the French CNIL earlier this year. One very interesting element of the DLA Piper report is the breakdown by country of the number of incidents filed. The Netherlands tops the list with around 15,400 reported incidents. Strangely, despite having a population nearly three times that of the Netherlands and a similar difference of scale in GDP, France only reported 1,300 incidents – over 14,000 less! This, perhaps, highlights an inconsistency between EU members as to what needs to be reported. For example, reported incidents have included simple notification that an email was accidentally sent to the wrong recipient. It would appear, although not confirmed, that the Dutch are playing it safe and reporting any infringement, whereas the French and Italians (with 610 incidents reported in Italy), have a narrower interpretation of what a data incident is. Potentially, the reporting of even mild infringements could explain why only 91 fines have resulted from the 59,000 reported incidents. However, the report from DLA Piper does concede that there is likely to be a backlog within the EU commission to process GDPR breach notification and other types of incidents, which could mean that more fines will be forthcoming. The backlog may also be a sign that the EU underestimated the initial volume of incidents it would receive. The main thing that is evident from this report is that the effect of the GDPR is still not fully understood. This is reflected by the huge variance in reported incidents per country and the ongoing arguments around the interpretation of legal data processing. The implications and interpretations will continue to play out for the foreseeable future. One thing remains clear, organisations (with a deliberate UK spelling) who are the controller or processor of EU related data need to protect this information and its usage with a specific mind-set. The data is not theirs; it belongs to the individuals to whom it is linked. Organisations must treat the data as something they are borrowing or looking after, not something they own. It needs to be locked away with the right protection to ensure only those who should use it or see it can do so. It may seem like an obvious shift of perception, but it’s vital in terms of the importance we place upon protecting EU-related data.